Ukraine will have 15,000 prosecutors. President Petro Poroshenko on 26 December signed a law that cancels the layoff of 5 thousand employees of the prosecutor's office next year. 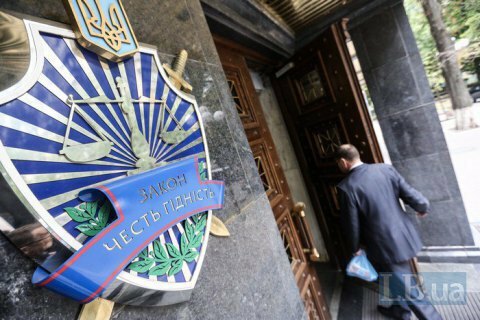 The bill is amending the law On the Prosecutor's Office adopted on 7 December as the Verkhovna Rada abolished the norm of the law on the prosecutor's office cutting down the number of employees of the prosecutor's office down to 10 thousand jobs. Instead, the parliament set the maximum number of employees of the prosecutor's office at 15 thousand people. In December 2014, Rada set the number of prosecutors at the level of 15 thousand. However, in July 2015, the parliament amended this law, stating that the total number of employees of the prosecutor's office is 15 thousand people with further reduction from January 1, 2018 to 10 thousand people according to the requirement of the then deputy Prosecutor General David Sakvarelidze.